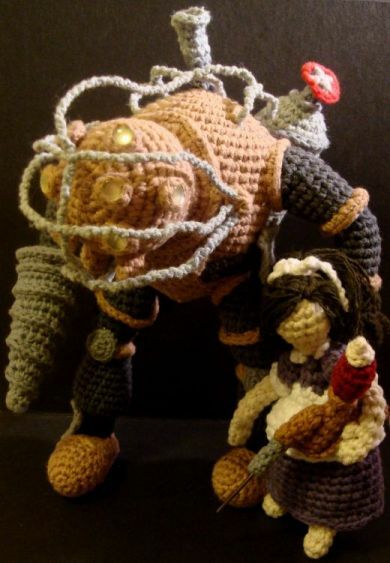 Holy cow, someone loves Bioshock! Nerdigurumi has outdone herself with this free crochet pattern for a self-standing Big Daddy Bouncer, using only yarn and a few buttons. Plus, she added a matching Little Sister, Adam needle and all. OMG I love this, I have been playing bioshock 2, forgot to take it back to the game store...might need to do that soon.